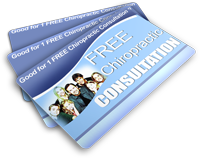 Chiropractic BioPhysics®, orCBP®, is, in short, a higher level of chiropractic. It is a more knowledgeable, comprehensive, systematic, scientific approach to chiropractic that provides predictable results for patients. CBP® combines standard chiropractic joint adjustments with mirror image® (opposite position) postural adjustments, mirror image® spinal/postural exercise, and mirror-image® traction to provide more permanent relief and improved health for patients through spine and postural correction.